Though they first appeared in the mid-1980s, run flat tires (RFT) are now more popular than ever. With some auto manufacturers making them standard in new vehicles, more consumers are asking about run flats, their advantages, and how using them impacts driving. Run flat tires are tires on which you can continue driving after a puncture so you can take time get to an auto shop or find a safe, level area to change your tire. There are two primary types of run flat tire systems: the self-supporting system and the support ring system. 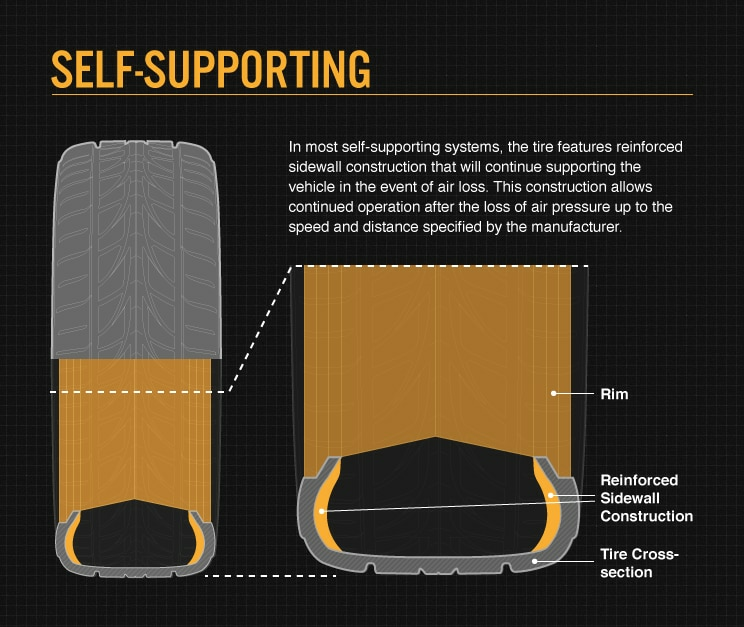 In most self-supporting run flat tire systems, the tire features reinforced sidewall construction that will continue supporting the vehicle in the event of air loss. This construction allows continued operation after the loss of air pressure up to the speed and distance specified by the manufacturer. 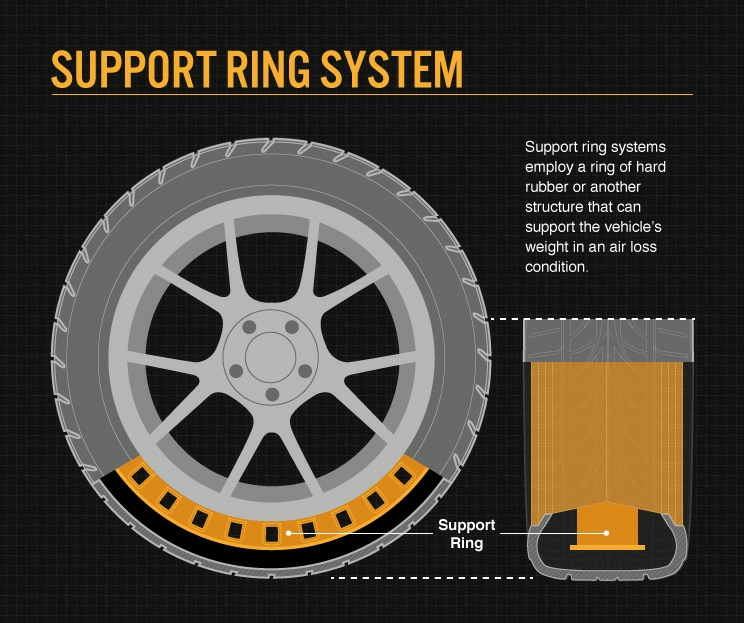 Support ring run flat tire systems, on the other hand, employ a ring of hard rubber or another structure that can support the vehicle’s weight in an air loss condition. Since they continue performing even though they’re “flat,” all run flat tires, regardless of the specific system type, may only be used on a vehicle equipped with aTire Pressure Monitoring System (TPMS). The TPMS alerts you as soon as one of your tires loses pressure. Without it, you might not know you were driving on an underinflated tire. You don’t have to change your tire in dangerous or uncomfortable conditions. This is perhaps the biggest benefit of run flat tires and is the one of the reasons why they were designed. With conventional tires, you have to replace a flat on the spot or have your car towed. In a puncture situation, run flats are more stable than conventional tires. Since they’re made to support your vehicle even when they contain no air, run flat tires will help you maintain better control in a complete air loss situation than conventional tires. As consumers continue rating safety high on the list of features they look for in a vehicle, the popularity of run flat tires is expected to grow. Since run flat tires work reliably with interconnected technologies like TPMS, it may only be a matter of time before they become the norm rather than the exception in new vehicles.